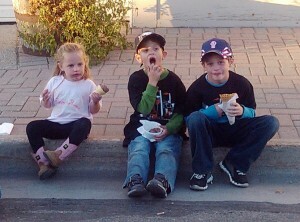 Check out our photos and see what PRM Trucking is all about! 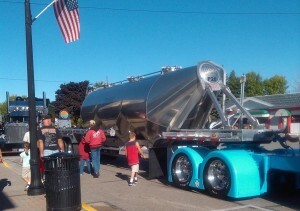 At the 2012 Truck Show in St. Ignace, MI, hundreds of trucks were entered and judged on many areas. 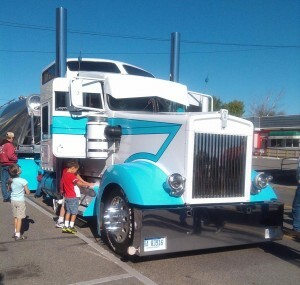 We showcased our white and blue, long-framed Kenworth with lots of chrome and shine, better know as the Smurf. 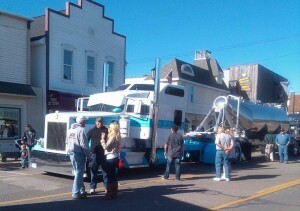 The highlight of the show is a parade of trucks across the bridge at dawn with lots of lights and loud horns!